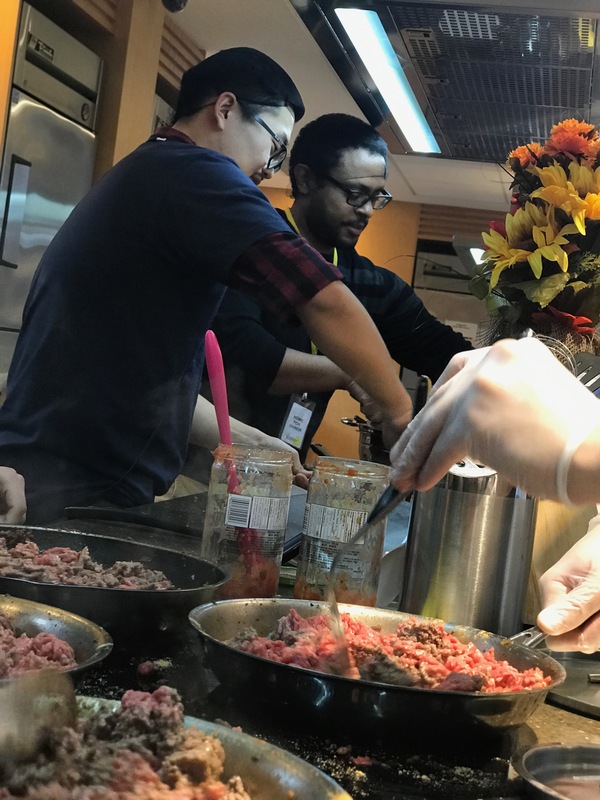 It’s not every day that Toronto-based app maker Flybits finds itself in the kitchen of one of its clients making tacos. But then not every client is like Ronald McDonald House Charities Toronto (RMHC Toronto). Volunteering in the local community is a regular part of the staff experience at Flybits, says Jay Graver, director of advanced enterprise solutions. After working to develop a mobile app with the charity, which provides a temporary home for families with seriously ill children undergoing treatment in nearby hospitals, it was only natural for about 30 to 40 employees to head over and don hairnets for Fiesta Night. Graver points out much of the work that Flybits did on the app pre-dates his time at the firm, but he’s familiar with the app and how it was built. Flybits bills its digital platform as an AI-engine that provides a contextually relevant experience to the user. It’s exactly what RMHC Toronto was looking for to support its clientele – families who find themselves in a strange new city during an emotionally difficult time. In place since 2017, the Virtual Front Desk app has received accolades from the RMHC global organization. The charity operates national governance bodies, but each of the more than 350 chapters operates independently. The Toronto chapter was Canada’s first RMHC charity, and is the largest house in Canada serving 4,735 families in 2018. It was recognized with the RMHC’s Kim Hill Award for developing a first-of-its-kind innovative experience. The app’s development kicked off shortly after Sally Ginter became CEO of RMHC in August 2016. She spoke with IT World Canada about the award-winning app at Longview’s Activate Digital event in February. RMHC Toronto’s Associate Director of Marketing and Communications Judy Noordermeer played a key role in collaborating with Flybits, Ginter says. But developing the Virtual Front Desk to serve clients in a way that made their lives easier took a whole-team effort. The family services department was engaging families about what features would be most useful. The families staying at the house, which can host up to 81 in its main Toronto facility, served as test pilots for the experience and provided feedback. Some of the most valuable features in the app are those that helped families understand the area they were in, stay connected to the house’s meals program schedule, and provided a direct communications channel via push notifications. Designed to answer common problems faced by house guests as quickly as possible, the app’s goal was to make its users feel more at home. Screenshots from the iPhone version of the Virtual Front Desk app. Click image to view a larger size. Available for free on the Google Play and Apple App Store, the app features a neighbourhood guide to finding staples like grocery stores, post offices, pharmacy, and of course the nearest McDonald’s restaurant. It also provides a calendar of activities in the house (Fiesta Night included), a floor plan, a program guide, and a directory of staff complete with headshots. The project was novel for Flybits because it usually builds its contextual engine onto an existing app, Graver says. This time, it was building it from scratch. In this case, the context comes from location. Given the sensitive nature of the identities of the families staying with RMHC, Flybits was careful to protect the privacy of the user from the outset. No registration for the app is required, so no personal information is recorded. Device-specific information is used to determine location, and all logs are purged on a regular basis. There’s no reversible way to identify any users from the data, according to Graver. 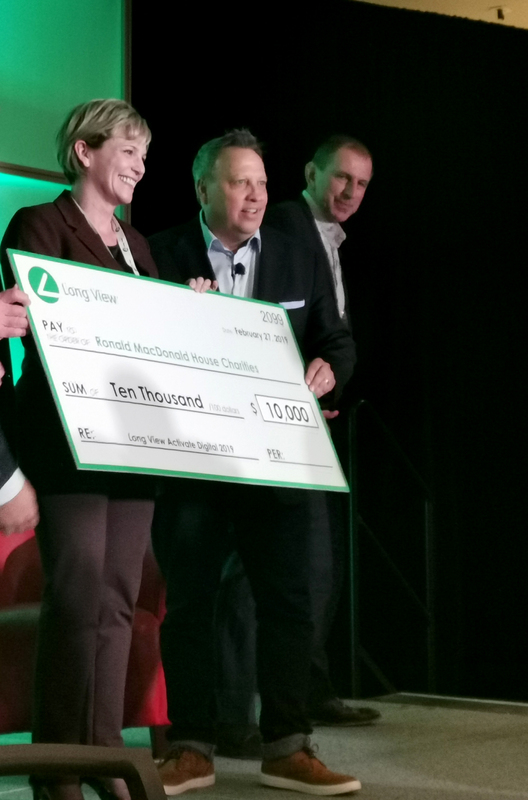 RMHC Toronto CEO Sally Ginter receives a $10,000 donation from Long View Systems at Activate Digital 2019. You can make a donation to RMHC Toronto online. Some of the contextually relevant features were inspired by Flybits previous work with a higher education customer on a campus information app. The location information is useful in two main ways – the app can determine if a user is in the house, or outside of it. This might determine what notifications they receive. In another situation, RMHC Toronto received a warning from Toronto Police that an individual in the neighbourhood had been reported as possibly wanting to cause harm. So the house responded by sending a push notification to its families to remain in the house if they were already there, and to remain where they were if they weren’t currently at the house, to avoid unnecessary risk. The location feature will come in handy when other RMHC chapters adopt the app. That’s a strong possibility, Ginter says, as many have reached out since last summer’s award win at the global conference. Some larger houses in the U.S. have voiced interest, as well as those in Canada. Flybits would be involved there too. “We look to roll it out more broadly in Canada and the U.S. in 2019,” Graver says. 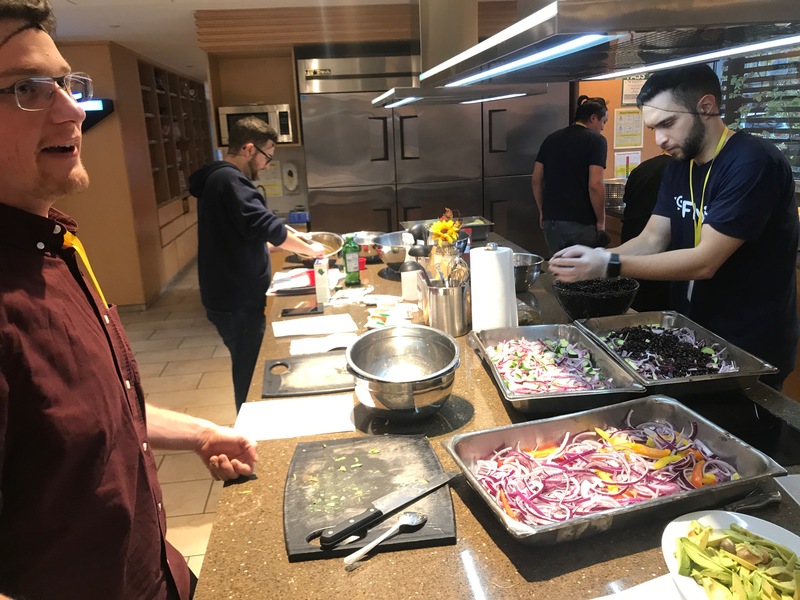 Who knows, the Flybits employees may find themselves preparing tacos in another RMHC location soon enough.